Enjoy a fun and addictive match-3 experience full of great gameplay. Travel to many different regions to serve your customers awesome juices. Create special fruits on the playing area for added special effects and extra score bonuses to aid your progress. 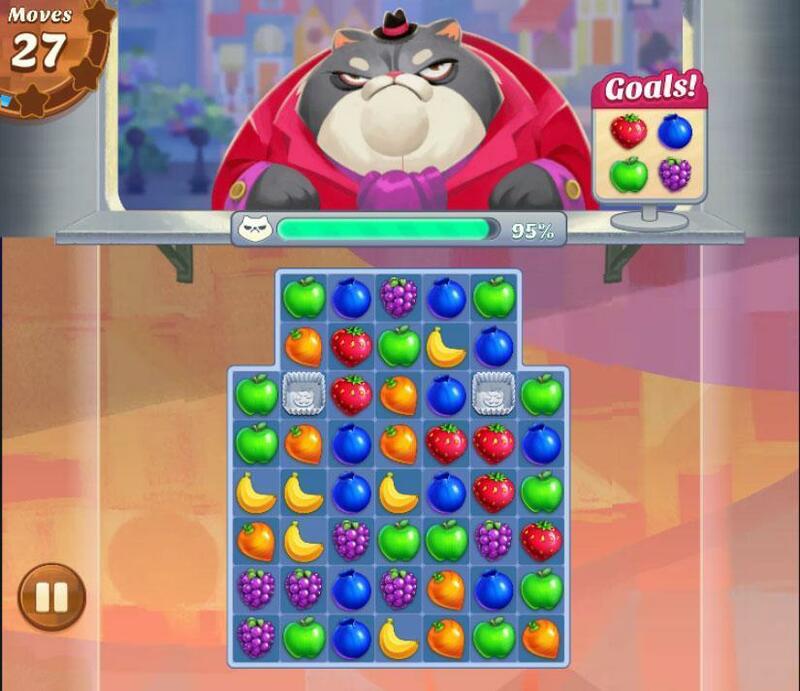 Juice Jam is a really engaging Facebook based match-3 game in which you take the role of the owner of a juice bar and it is your task to deliver juices to your customers by matching together the fruits respective to the juice that the customers require. It’s a great game and is more than capable of keeping anyone entertained for long durations of time. Upon starting off in the game for the first time, you’ll be eased into the game through a series of tutorial levels that do an excellent job of explaining new players all the basics of the game such as how to complete objectives and how to create special fruits on the playing area. These levels are pretty concise so you’ll be done with them in a matter of minutes and will be well on your way to making good progress in the game. The gameplay of Juice Jam is ultimately based on the traditional match-3 formula but is a bit different in some aspects. The main difference that you’ll notice is the fact that objectives are handled quite differently in this game. 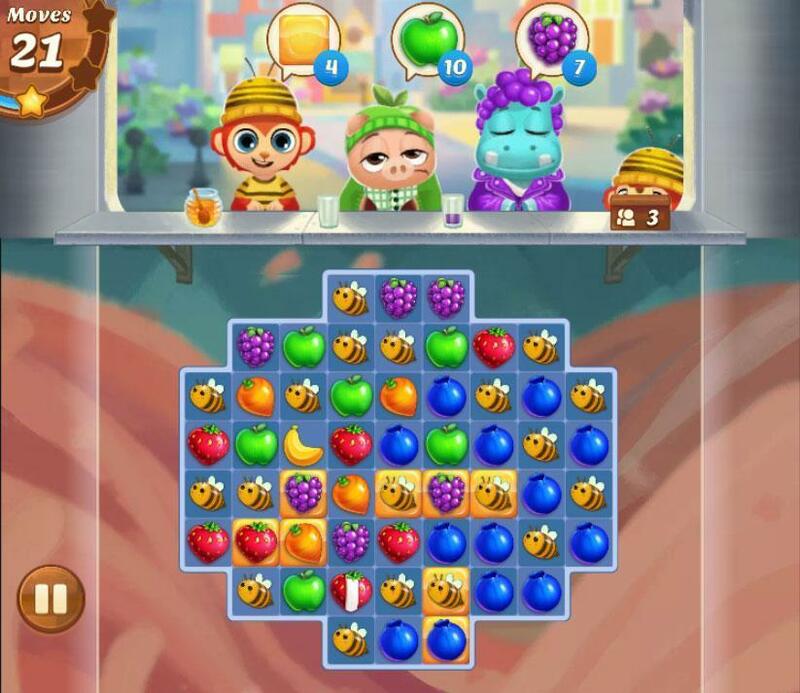 Instead of being assigned a task at the start of the level, you’ll instead have to match the fruits according to what flavor juices your customers are ordering. This makes the gameplay a bit more dynamic and also a bit faster paced since you can’t keep customers waiting for too long as they’ll get frustrated and leave, costing you some business and potentially the level. Other than this, the remaining in-game mechanics function pretty similarly to those of standard match-3 games. 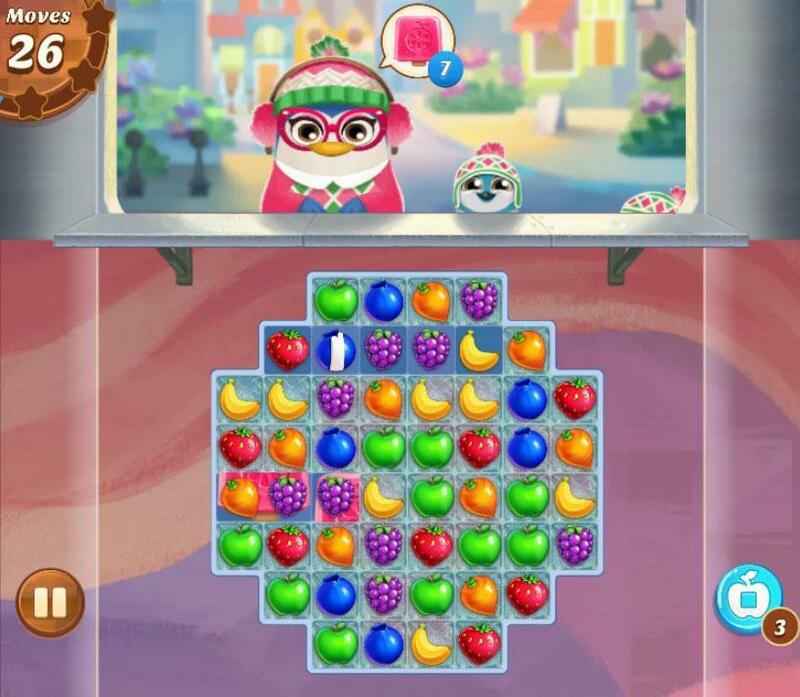 You match together three of the same fruits to pop and remove them from the playing area, you can match together four or more to create special fruits that can have many kinds of special effects such as exploding in full diagonals, columns or rows. Overall, the gameplay has a lot to offer and is full of great fun. In terms of visuals, Juice Jam definitely feels like a really polished game. The overall art style is pretty distinct and only made better by the really bright and flashy color palette. The animations and special effects that occur upon combining fruits are pretty cool to watch so overall, players will be more than satisfied with the visual treats that are offered here. As for micro-transactions, Juice Jam allows its players to purchase gold with real world money which can later on be used to buy in-game lives if you ever run out and would like to play more. Juice Jam is a really high quality, fun filled match-3 experience that definitely stands out from the crowd.